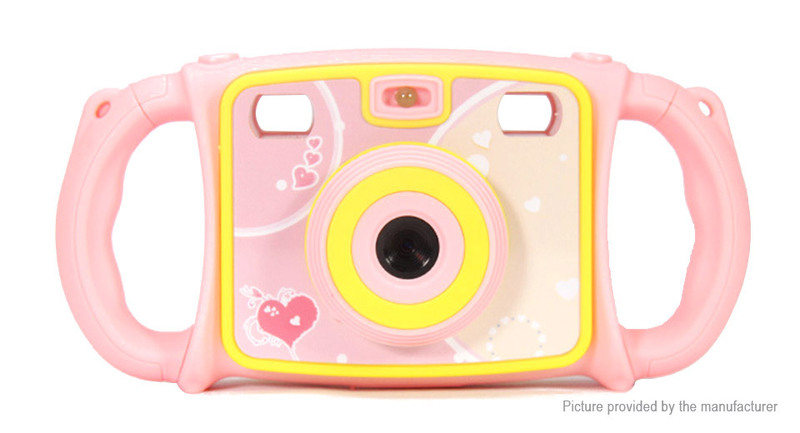 With environment-friendly non-toxic materials, camera is protected by soft silicone protective shell, and easy to hold with 2 handles and a neck lanyard, help your kids to enjoy taking pictures in a safe and comfortable way, without the fear of accidental slips and falls. Dual cameras CMOS image sensor, selfie is available. 4X digital zoom, dual view finders, built-in game, built-in fill light, featuring professional HD 1080P/30fps videos and 2MP photos, built-in cute photo frames and 6 color video effects. Help to explore their creativity.